Human Rights Watch commended Libya for progress in its human rights record Saturday. The human rights organization cited "limited improvements" in the country in the areas of freedom of expression. The report states that progress was partially spurred through the efforts of the Gaddafi International Charity and Development Foundation. Back in October, Libya freed 88 Islamists, some accused of ties to al-Qaeda in a further indication of the country's new found focus on human rights. the Despite the slow pace of reform, journalists and political dissidents continue to be harassed by the state. Just Last Monday, Jamal al-Haggi, a former political prisoner, was arrested for his criticism of the government's detention of political prisoners. Libya's efforts come at a time where the North African state is trying to move away from its international isolation and the label it had as a pariah state. In recent years, Libya's policies have signaled a move towards conciliatory foreign policy. 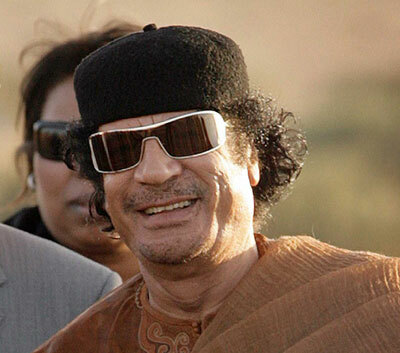 Perhaps censing his own vulnerabilities, Qaddafi renounced all involvement in international terrorism and Libya’s ambitious WMD program. Libya has also abandoned old fantasies of Arab leadership, and has gradually emerged as an African leader as Qaddafi, “king of kings of Africa,” aided by his son and heir apparent Saif al-Islam, showed tremendous resilience in shaking off early erratic and bellicose image. Now More has to be done to charter a similar conciliatory domestic policy towards local political opposition and freedom of expression, to which the Jamahiriyya has only offered cosmetic changes.